Vote now—and vote daily—to choose your favorite among the DIY planter projects competing to win this month's Bob Vila Thumbs Up competition! Spring is on the way. And after this winter, many of us couldn’t be more relieved. If you have spring fever, one of the best projects to DIY is to make your own planter box. But you need not stick to traditional wood window boxes. 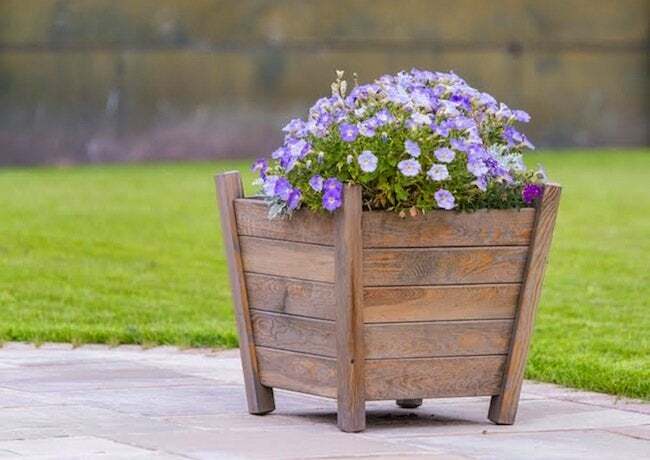 This month’s Bob Vila Thumbs Up competitors take the DIY planter to fresh and new places. Whether you like the look of wood, concrete, or stone, this month’s bloggers have something that will surely interest you. They all require different levels of skill—but they all deserve points for creativity. And they’re all eligible to be this month’s Bob Vila Thumbs Up winner and take home the prize—a $250 gift card from True Value. Congrats to last month’s winning blogger! Read more about winning Bob Vila Thumbs Up project right here.